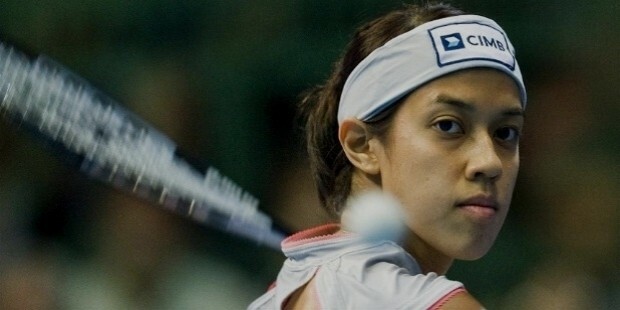 Nicol David is a Malaysian professional squash player who has been the World’s number one player consecutively for 87 months from August 2006 to November 2013. She has been considered as the top contender for title of ‘The greatest squash player of all time’. She has won the World Open seven times and also consecutively five times from 2008-2012. 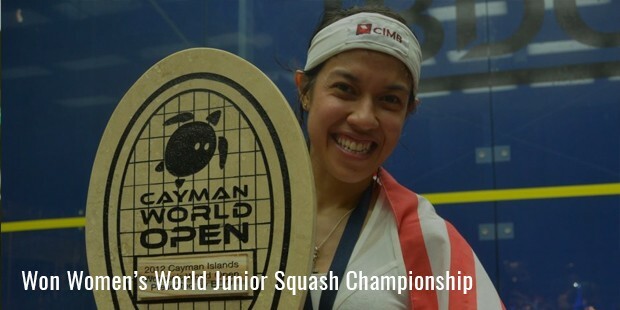 She has won the Asian Squash for a record eight times from 1998-2011. She has also been the WISPA Player of the year from 2005-2010. Nicole ‘Ann’ David was born in Penang, Malaysia on August 26, 1983. Her father Desmond David was an engineer and her mother Anne Marie David was a school teacher. As a child, Nicol was interested in mathematics and she aspired to be an engineer like her father. She started playing squash as a pastime at the age of 5. But by the age of 8, she was enrolled in a proper coaching setup. 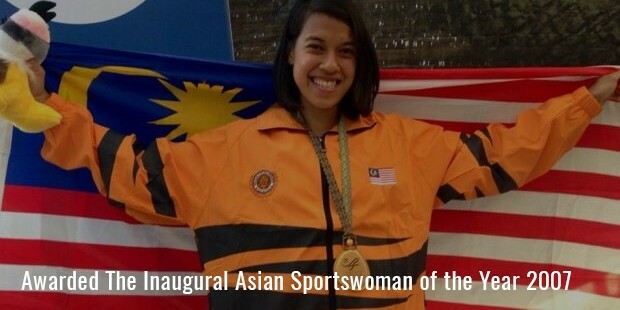 She was soon called up to represent her states Penang in the 1992 National Junior Interstate Championship. In that competition Nicol surprised everyone by winning the silver medal in the U-16 category. In 1994 she was able to win her first international titles in the form of the Scottish Junior Open U-12 and the Hong Kong U-13 tournaments. She was a great talent that had the potential of becoming the one of the top players in the world. In 1999 she proved her skills by winning the Women’s World Junior Squash Championships at the age of 15. In that competition she went on to beat three players who were placed in the top 20 rankings in the world. She was just a schoolgirl who went on to defeat other experienced players with relative ease. This performance made headlines throughout the world of sport and made Nicol an overnight star. In 2001, she went on to win the World Junior Championship competition for the second time. In the year 2000, Nicol turned professional by joining the WISPA. Within the first month on the tour Nicol was able to win her first title. In the Savcor Finnish open, she defeated Salma Shabana to win her first title. This was only the first of the dozens of trophies that were set to follow. By the year 2005, she had become such a dominant player on the tour that she lost only 2 matches throughout the whole year. 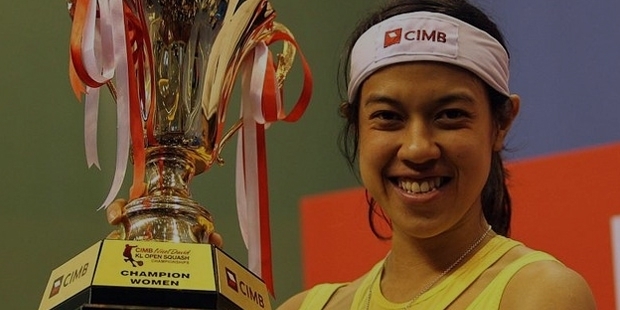 She won World Open and the Malaysian Open. 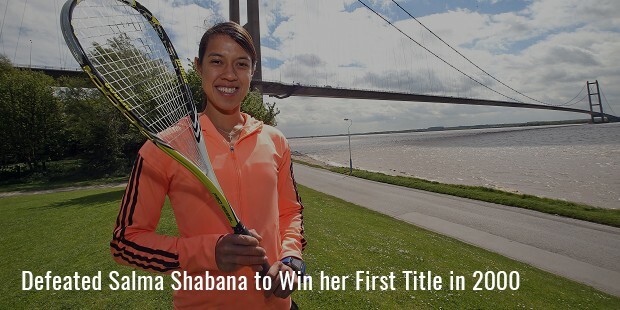 But her greatest achievement was the winning of the British Open, being the first Asian to do so. Her dominance also got her the World No.1 ranking in August 2006 which she would not relinquish for the next six years. In 2006 she continued her string of impressive performances by defending the World Open, Malaysia Open, British open. Additionally she won the Penang Open, Qatra Airways Open Challenge, Hong Kong Open, etc. Again in 2007 she was able to reach many finals and was awarded the inaugural Asian Sportswoman of the Year Award. In 2008 she did the unbelievable by not losing a single match in the complete calendar year. Thus she was able to win all the competitions she participated in that year. Nicol has gone on to set numerous records over the years winning prestigious tournaments repeatedly. As of 2013, she has 70 WISPA titles with win percentage of 90.5% (304-32). She is easily the most dominant player that the world has ever seen in squash history. 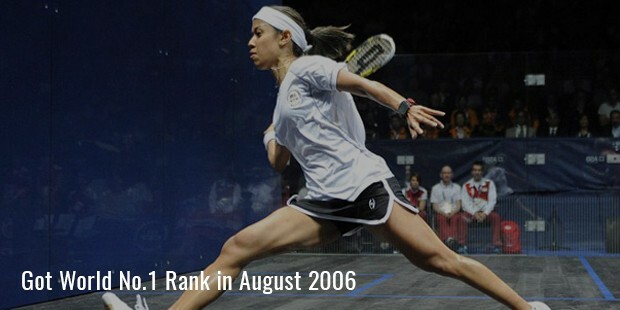 From being a good student in academics, Nicol David has become a great student of the sport of squash which has made her the undisputed champion of the sport. She has been one of the most successful players that the sporting world has seen in the last century.